Plenty has been written about the Pew Research Center’s second Religious Landscape Study, published in 2014. 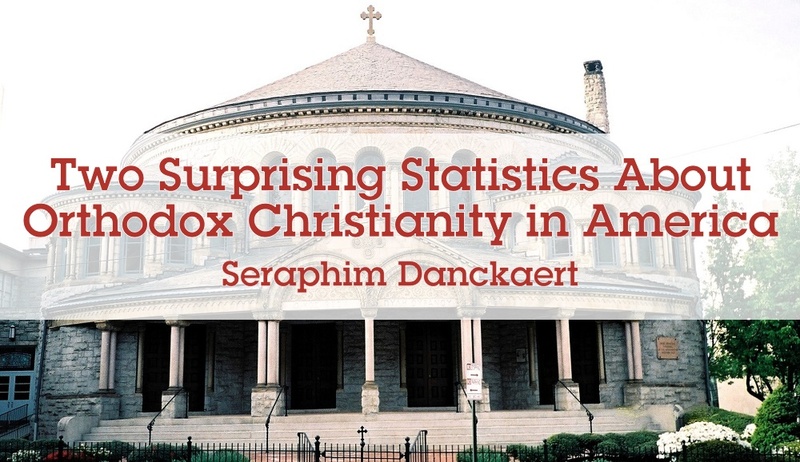 Relatively little commentary has focused on what the findings tell us about Orthodox Christians in America. In part, the lack of attention is due to the very small sample size of Orthodox believers in the study — so small that the margin for error is somewhere in the realm of +/- 9%. Even accounting for this reality, the findings contain noteworthy information with pressing implications for ministry today. Here’s the summary: 60% of us were born in America, 66% are Generation X or younger, only 48% of us are married, and only 30% of us are parents with kids under 18 in the house. Seeing the numbers in black and white might help to re-frame the way in which we think about ministry today. Too often, it’s easiest to look at the congregation and miss the larger picture. Among survey respondents, only 25% were baby boomers, only 8% from the silent generation, and a full 31% had never married (remember: 66% are Generation X or Millennials), while 9% are divorced, 6% are widowed, and 5% are cohabiting with partners. In general, a very different picture than the stereotypical profile of aging grandparents and young families. The options given were: (1) Religious teachings and beliefs, (2) Philosophy and reason, (3) Practical experience and common sense, or (4) Scientific information. One might expect a solid majority to choose No. 1, especially because 52% of these very same respondents said that their religion is “very important” to them (the highest possible choice). However, only 27% said religious teachings and beliefs were the most important factor in deciding what is right and what is wrong. The vast majority looked elsewhere for guidance: 48% to practical experience and common sense; 14% to philosophy and reason; and 8% to scientific information. Very similar results appear in Pew’s 2007 study, which included about twice as many Orthodox Christians in its sample. In that survey, 25% said they look to religious teachings and beliefs, while 52% said they rely on common sense. The pastoral ramifications of these results are manifold. Quite simply, when discussing moral issues with many Orthodox Christians, it means almost nothing to say “The Bible teaches X” or “The Church proclaims Y” or “The Holy Fathers encourage Z,” because none of these are seen as sources of authority or relevant guidance. The challenge which clergy, religious educators, and theologians face is not to state moral truths more clearly, but to awaken in more people the very realization that Truth exists in the Person of Jesus Christ, present among us powerfully in His Body, the Church. The theological and moral division present in the Church is not a disagreement about specific issues: abortion, sexual morality, wealth and poverty, and so on. Rather, we see differences on these issue arise because of a much more fundamental division over the very nature of moral reasoning: not only what is truth or goodness or a life well lived, but, even more importantly, how does one determine an answer to these questions? The good news — if one can call it that — is that many Orthodox Christians do not appear to have a considered rationale for the moral stances they hold. About 50% said they look to “practical experience and common sense,” which is often an exceedingly American way of saying that one follows the majority opinion, with little or no time devoted to reflection. How best to engage such brethren, as well as members of the Church who hold a considered stance at odds with Christian faith and morals, is an urgent pastoral question, both within Orthodoxy and without. 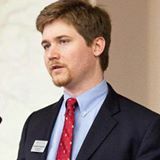 Similar realities exist in other confessional contexts: among Mainline Protestants 29% look to religious teaching for moral guidance while 51% prefer common sense; among Roman Catholics it’s 30% for the faith and 48% for common sense; and Evangelical Protestants fare somewhat better with 60% looking primarily to religious teaching, but 30% still basing their moral decision making on practical experience and common sense. Further analysis of the American idolization of “common sense,” and the ways in which this moral reasoning reveals much about the shared theological vision of many American Christians regardless of formal confessional affiliation, would be particularly instructive. The study includes many people who identify as Orthodox but do *not* attend church on a regular basis. Deserving further investigation, this thesis moves away from the logic of polarizing ideologies (political parties) towards the concept of principle tenets of belief or lack thereof as a guiding force in our society. That is scary. We cannot look to our own wisdom, but must look to the wisdom of God and of the Early Fathers of the Church. Thanks for the comment, Deborah. Simply by using the word “wisdom” you are thinking in a very different and deeper way than many of the survey respondents! Very interesting that Evangelical Protestants outdo the rest in looking to religious teaching for moral guidance. I feel that this may have something to do with Sola Scriptura and the evangelical emphasis on the scriptures, particularly in the initial ‘salvation experience’ ? Thanks for the comment, Brian. Just FYI, the numbers are even better for Mormons and Jehovah’s Witnesses. Reasons for this certainly include *patterns* of teaching and discipleship (less than specific doctrines), but also other factors. The emphasis in Evangelical Protestant church’s that I attended for years is a close walk with Christ. They hold to plenary inerrancy. Services consist 15 to 30 minutes of worship in song, followed by announcements and then 40 to 60 minutes of sermon. The sermons are lessons from the Bible and how to put them to work in our daily lives. All of this is centered on the best way to please our Lord and put His way before our own. Given this, I am appalled that only 60% look to Word for their guidance. I am imagine more then a few pulpits will be addressing this. Yes, when one considers that for protestants generally, the scriptures have always been the written guide and final authority in matters pertaining to faith and life, the figure that only 60% of evangelicals look to the written word for guidance is extremely surprising. 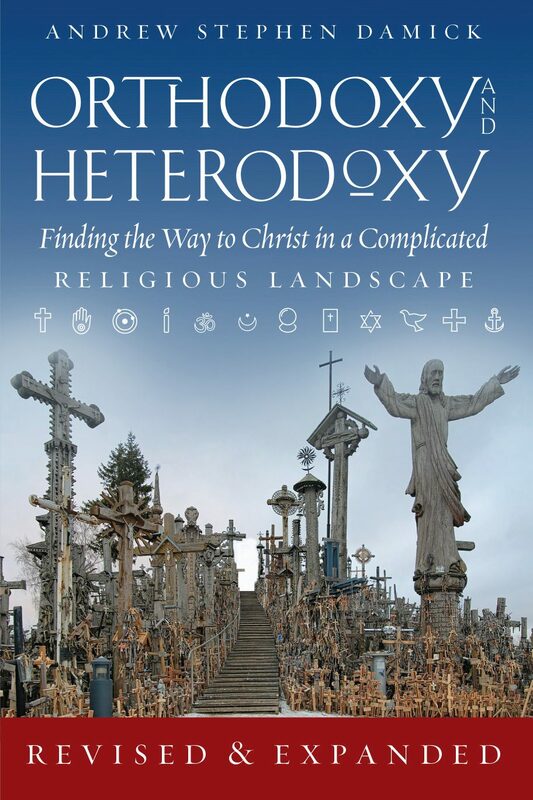 On the other hand does this give us some insight into what might be influencing many protestants to return orthodoxy? For those of us who may be involved in this, is it not the call of the Holy Spirit to maturity (Hebrews 6:1-2)? I’m not sure these statistics tell us that Scripture and Tradition have no authority to most Orthodox Christians. I suspect it may instead reveal that too few Orthodox priests have made the effort to bring these things to bear on contemporary issues with any consistency or force to impress them that they ought to look to these things for answers to such questions. Too often, we hear sermons about the meaning of the where we are in the liturgical year, and to infrequently do we hear sermons that address where we are in the culture. Hi Father, Christ is risen! Thanks for your comment. All of the research I’ve seen indicates that it’s pretty fair to say of the *majority* of people who identify as Orthodox. Of course, those 50-70+% are not the people who would be hearing sermons of any kind with regularity. See, for example, the newest Pew study of religious identity and observance in Central and Eastern Europe. Compared to previous years, millions more are telling survey takers that they are Orthodox Christians, and millions more have icons in their house or light a candle when they walk past the neighborhood church on the way to the grocery. But in many countries, including Russia and Serbia, only 6% of those who say they are Orthodox also say that they usually go to church for Divine Liturgy. So, there’s a vast ocean of millions of Orthodox who rarely hear sermons of any kind, good or bad. Regarding the sermons that those few who come do hear: I would modify your suggestion somewhat. In my opinion, we need less homiletic focus on *we* (either where *we* are in the liturgical year, or where *we* are in the culture), and more focus on where *God* is and what He is doing amongst us in Jesus Christ. I’m sure you wouldn’t disagree, but it’s a essential focus that separates *preaching* from other forms of speech. I hear far too much *commentary* and almost no *proclamation,* a lot of sentences that start with the first person plural and very few whose subject is God. I was focusing my comments on the situation in North America. Church attendance in Eastern Europe was mostly effected by the mass destruction of Churches by the communists, and the routine execution or imprisonment of those who attended those Churches that were still functioning. In North America, the problem is not coercion, but mostly indifference. Part of this is due to parishes which have refused to transition into English, and so have lost the better parts of a couple of generations of youth. But this is also due in large part to poor instruction, both in terms of preaching and teaching. Our focus should be on preaching and teaching the whole counsel of God, which includes moral instruction. And in too many parishes, this has been sorely lacking. We certainly want to teach about God, and teach the good news of the Gospel and forgiveness, but we also need to teach the bad news when it comes to sin and hell… and generally the bad news should precede the good news, if we want to follow the Biblical model..
I’m not sure we are disagreeing on the most important thing. However, the actual levels of religious practice in Eastern Europe are quite similar to the patterns of Orthodox here in North America. My personal experience growing up within Protestantism is that many claim to be following the Bible BUT it is THEIR interpretation of it which can (but not always) be very far from the sprit of what scripture actually says. The ‘common sense’ reliance numbers explain SO much!! One reason that Evangelicals report relying on religious teaching more is that they do. Let me explain. The categories are defined by self identification. Many people identify as Orthodox or Catholic as if they were identifying as Irish or Mexican. It is a convenient group identity marker with relatively few downsides. Evangelical, on the other hand, is an identity with a social cost. Fewer people would self identify as an evangelical as an equivalent of a cultural or ethnic group. They are more likely to identify as evangelical if they are practicing that faith tradition and to reject such an identification if they are not. I am not a scholar, nor am I Orthodox. But in reading Mr. Danckaert’s blog here, I wondered if a point was missed. If the Pew Research report mentioned is specifically referencing Orthodox Christians, doesn’t that create a context for the percentages of people responding to the four options? Relying on “personal experience and common sense” for moral guidance seems to me to be grounded in the respondents’ identity as Orthodox Christians. In other words, can’t we assume that the respondents’ personal experience and common sense is informed by option# 1 “religious teachings and beliefs”? Thanks for the comment, Kathyrn. I don’t see why one would make that assumption. In fact, the study points to the opposite conclusion. If one looks at how the survey respondents answered specific questions about moral issues, one sees that just as only about 30% say they look first to religious teachings, only about 30% hold views similar to the Church’s teaching on controversial matters. Of course, it’s not a 1:1 correlation, but it’s close enough and consistent enough to be suggestive. By the way, this study is of Americans in general of all religious backgrounds. And very generally speaking, similar patterns are evident in other Christian traditions in America. As far as I understand, the most effective form of teaching is by example. Hence, if people preffer practical experiences, then we should probably invest more on strenghtening the spirit of community amongst believers, so that they may have more practical dayly experiences of the Orthodox mentality.